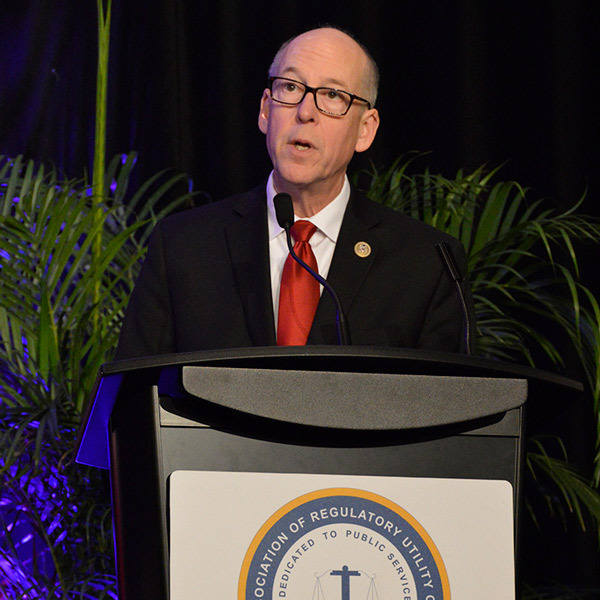 WASHINGTON — U.S. Rep. Greg Walden (R-Ore.) said the agenda of the House Energy and Commerce Committee that he chairs will hew close to traditional party positions, emphasizing the importance of letting states and market forces guide development rather than policies and regulations. He called on the new administration to install new commissioners at FERC quickly and indicated the nuclear industry would be a major focus of the committee. Georgia Public Service Commissioner Tim Echols asked Walden’s view on how reprocessing might make the national energy policy more sustainable. He noted that while the Yucca Mountain project was canceled by the Obama administration, the total future liabilities and payments paid by the U.S. Treasury for nuclear-waste storage doubled to nearly $30 billion over the last eight years. The federal government can no longer collect a nuclear waste fee from ratepayers, he said, but the fund already has $36 billion and collects $1 billion in interest annually. Regulators and officials discussed the importance of cybersecurity at NARUC's winter meetings.